Dimensions: H13.5 x W7.5 x D17 cm approx. 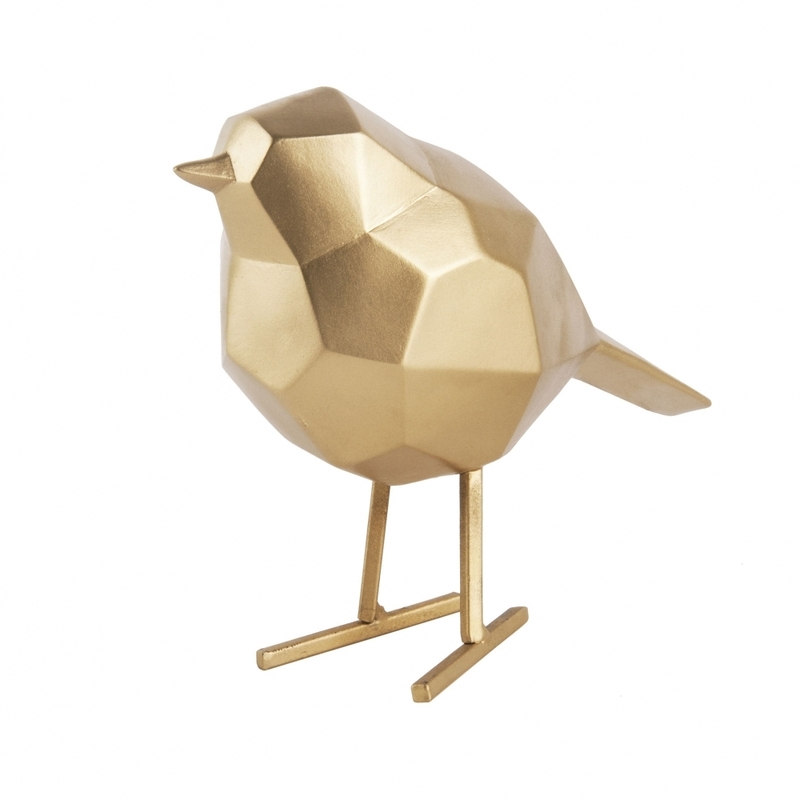 Start your festive display with this Small Geometric Gold Bird Ornament, ideal for display at home or work and ideal for a hotel lobby or cafe scene setting. The polygon-like design means this bird could be used all year round and with other bird statues. Being golden in colour allows this ornament to be used as part of a wedding display, at Christmas or all year round for various occasions. If you are looking for a coordinating statue, this bird is available in a larger size and different colours, see our range for more inspiration.